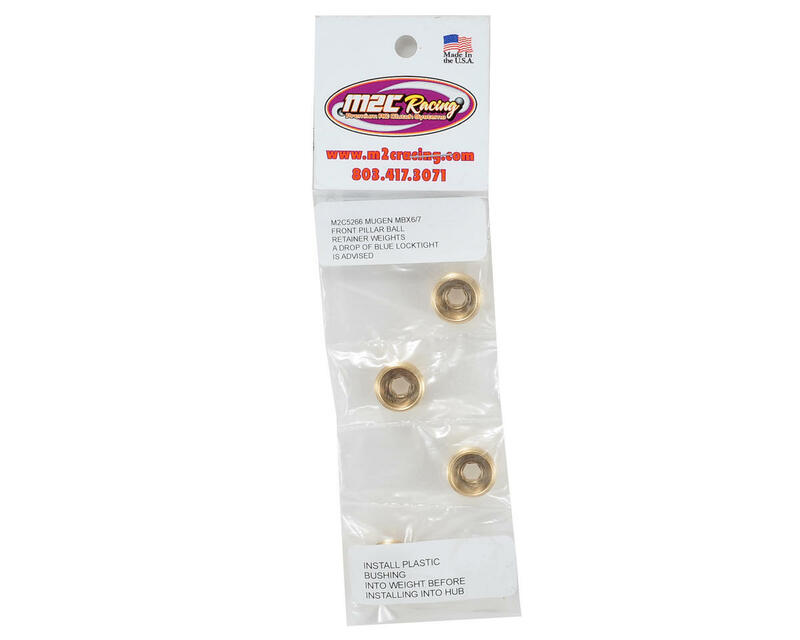 This is an optional M2C Racing Mugen MBX Brass Front Weight Kit. These weights are compatible with the MBX6 and MBX7 family of vehicles, and weigh approximately 4 grams each, allowing you to add up to 8 grams of unsprung weight per side. This helps to improve turn in and forward bite. 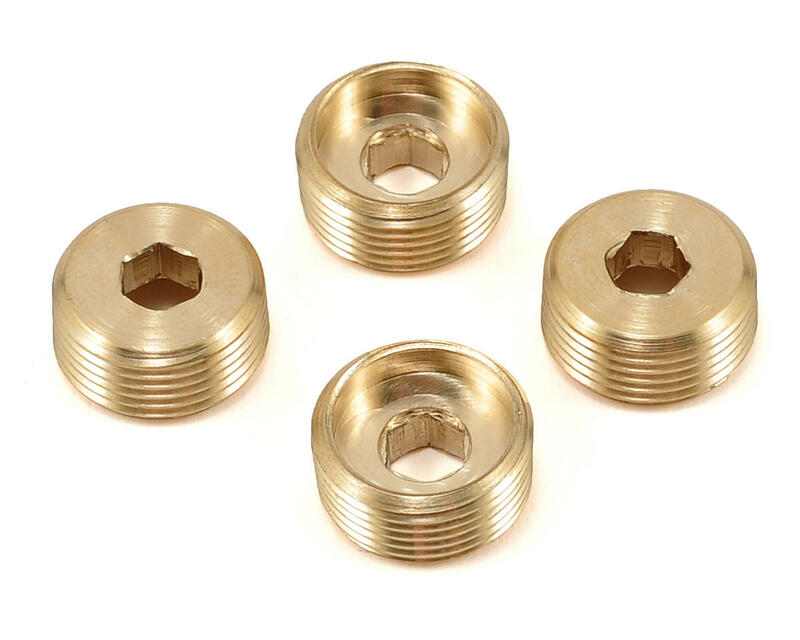 M2C recommends that you add a drop of blue locktite to the brass threads to help add resistance. Install the plastic pushing into the weight before installing the weight into the hub.